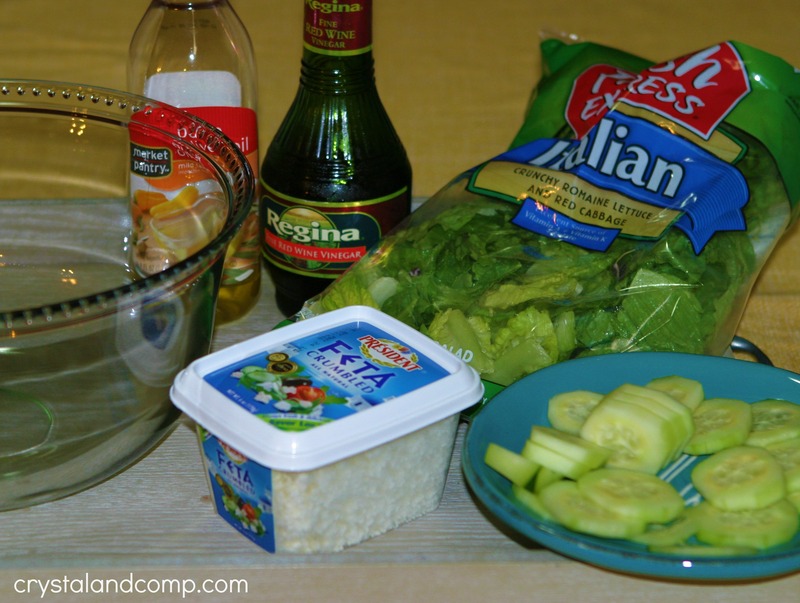 If you are looking for an easy salad that is perfect to serve alongside your favorite dish, I have a super simple recipe to share with you. The base is a bagged romaine salad. You’re gonna love this! We do. This salad is perfect for a busy weeknight when you’re pressed for time to get a balanced dinner on the table. 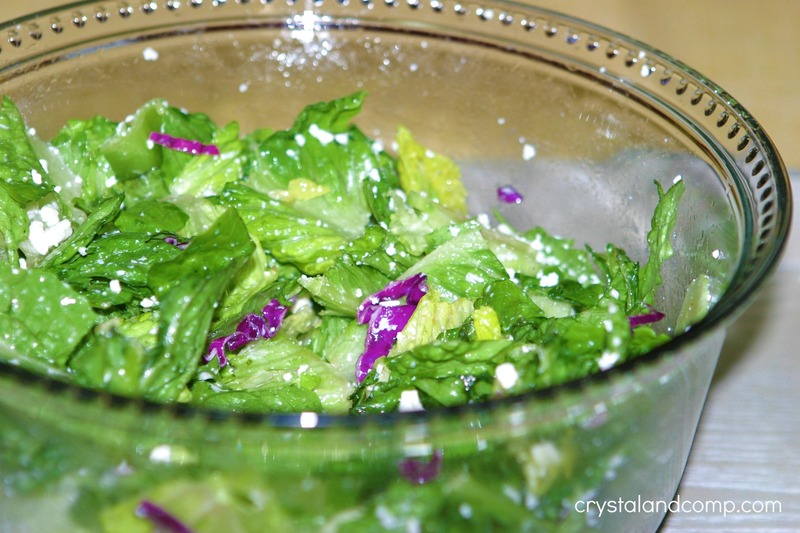 Take your bagged salad and add it to a large bowl. I like to buy the Romain lettuce that has a bit of the shredded purple cabbage in it. 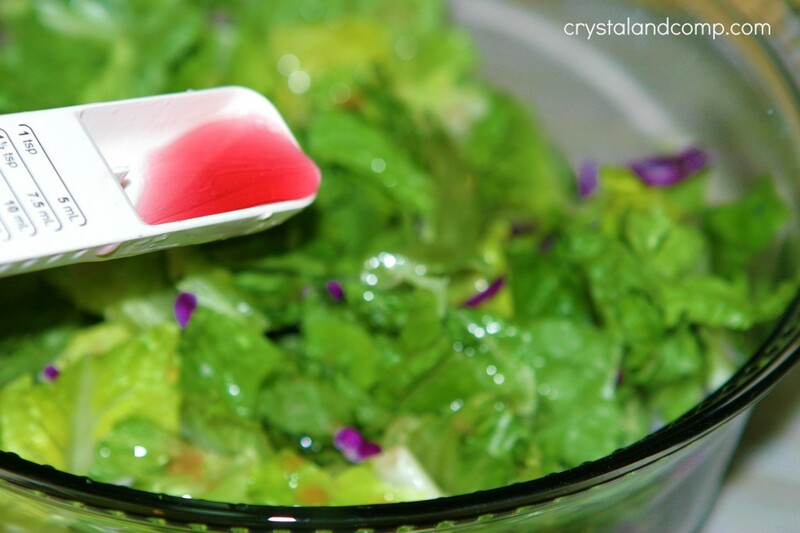 Pour the red wine vinegar and olive oil over the salad. Stir it up to coat evenly. Toss in the cucumber slices. I just use half a cucumber and I take all of the skin off. 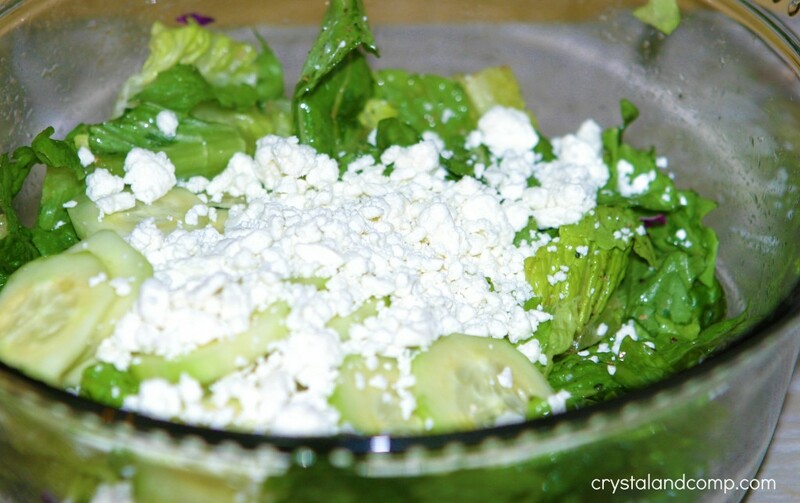 Toss in half of the container of crumbled feta. Crack some pepper and sprinkle with a bit of Kosher salt. 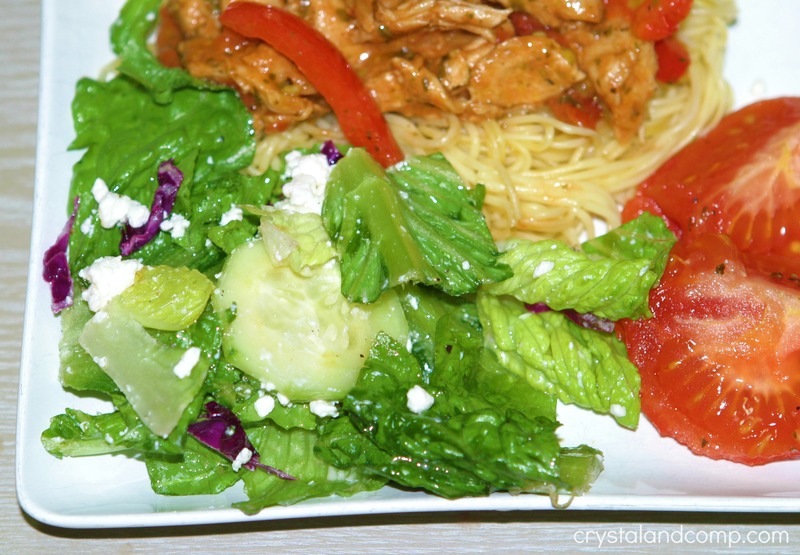 Toss the salad to coat evenly and mix everything up well. 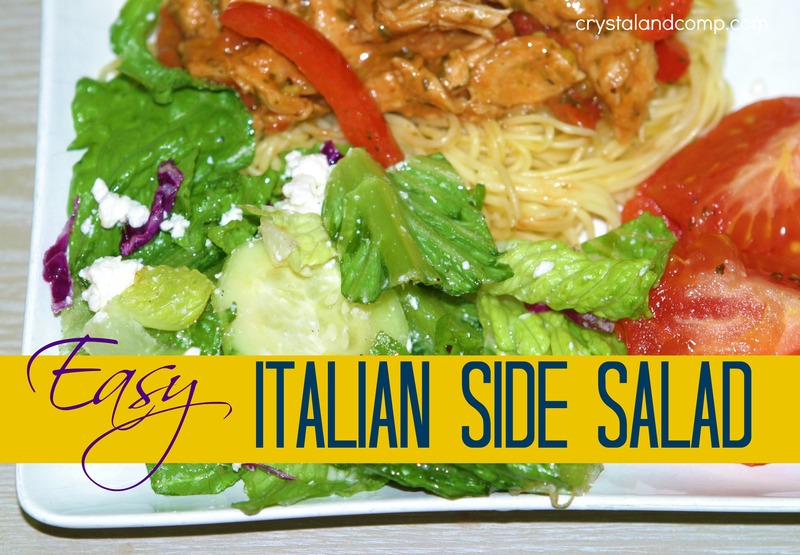 This makes the perfect side salad… and you do not have to be eating Italian food either. This goes with so many meals. Thank you so much for sharing this in the Crafty Showcase! We are featuring you in a Last Minute Easter Recipe Round up!! 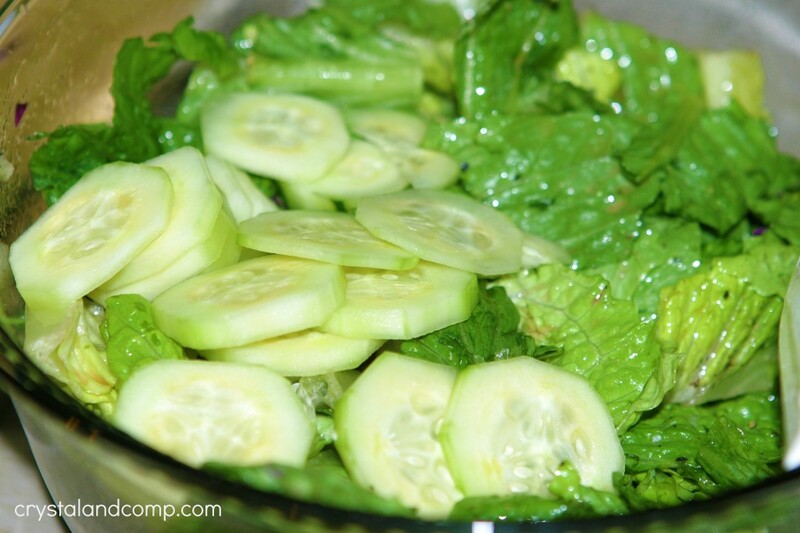 This salad looks like it is so refreshing!! See you this weekend for a new Crafty Showcase! It’s a yummy salad, Crystal! Thank you so much for sharing your awesome recipe with Full Plate Thursday and have a great weekend.